My lovely 3 year old son is fast becoming a graffiti artist. Does anyone know how to remove crayon from wallpaper? My 3-yr-old does the same thing, and plain old Crest toothpaste with a blue scrubbing sponge did the trick. 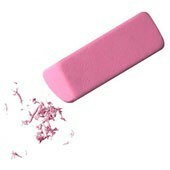 Just do not use Mr Clean Magic Erasers on the crayon marks. It will just smear them and then the toothpaste won't work.